An oasis of lavish urban chic, where relaxation, serenity and luxury are at the heart of your experience. View this months special offers and don't forget to sign up to our mailing list, you'll get our latest offers delivered directly to your inbox. Shop online for the perfect gift from vouchers, spa packages or products from ESPA. 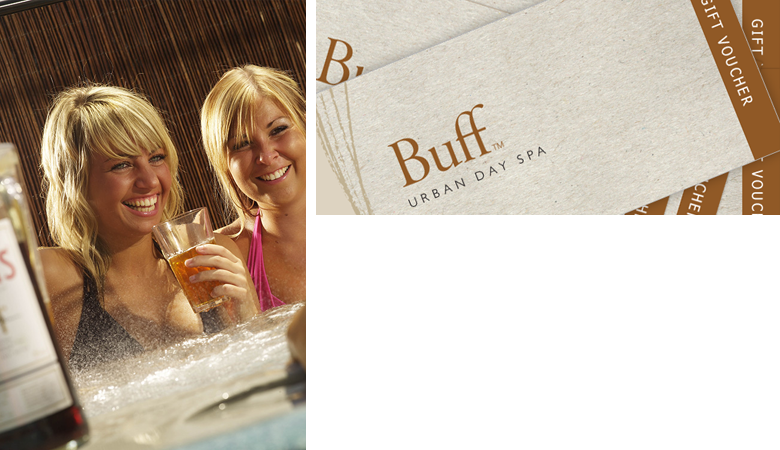 Welcome to the award winning Buff Day Spa: an oasis of lavish urban chic, where relaxation, serenity and luxury are at the heart of your experience. Winners of the Bristol, Bath & Somerset Tourism Awards for Spa & Wellbeing 2017, Muddy Stiletto Best Day Spa & Best Hair Salon in Somerset 2017 and Taunton Deane Business Award for Customer Excellence 2017. Our holistic spa treatments will purify and rebalance, leaving you with a sense of harmony and inner well-being. We not only offer cutting and colouring, our team have vast experience in hair styles for that special occasion, whether it's an important party, prom or even that special date. Whether you want to look your best for that special occasion or simply want to be pampered and beautified, our talented therapists will make you feel like a true VIP. Men deserve to relax and be pampered as much as the ladies and we have the perfect environment for you to escape the madness of day to day living. Within the numerous non-invasive and invasive treatments we offer there will be something to suit you no matter what look or improvement you want to see. Treat yourselves to either a half or full day of pampering before your special day to help you feel completely stress free and relaxed. Whether you are seeking an escape from the stresses of modern living, somewhere to improve your wellbeing or the expertise to create a striking new you, Buff will make your visit an unforgettable and indulgent experience. 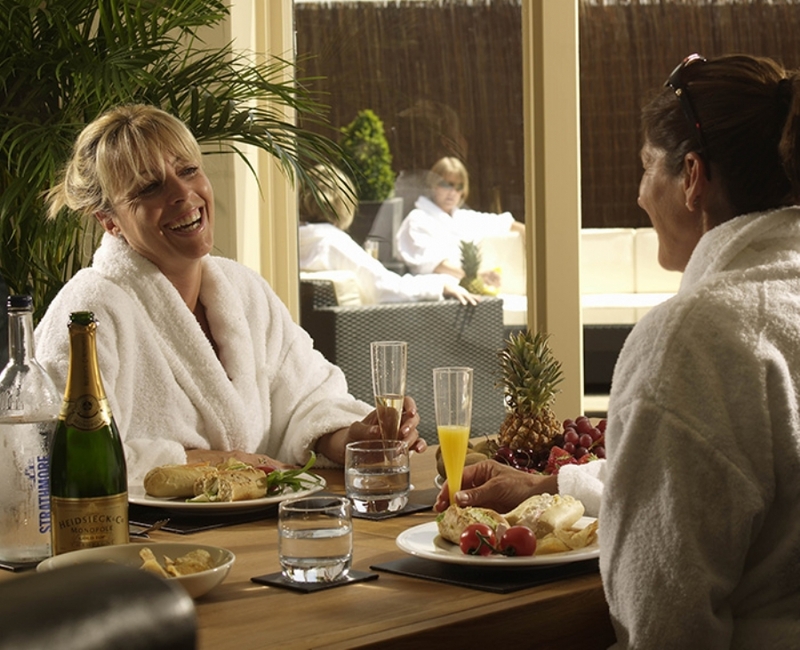 Please enjoy your time with us; relax, revive, beautify and make the most of our wide range of excellent facilities. When you leave us, do so feeling recharged, ready to reconnect with the world. Below are some featured products from our online shop. If you would like to see more click here to see the full range. Why not treat the one that you love with one of our treatment gift vouchers? Our holistic spa treatments will purify and rebalance, leaving you with a sense of harmony and inner well-being. Each experience has you at its centre and every treatment is an opportunity for you to indulge yourself. Click here to view all of our spa packages. Enjoy an hour of tranquillity in our floatation tank then indulge in a luxury two-hour ESPA Nourishing Body Experience in our Vichy shower. This nurturing experience helps to comfort mind and body and soothe the skin. Enjoy this all-over total harmony body treatment and feel relaxed, revitalised and renewed. Relax with lunch on our roof terrace or in our relaxation lounge. In the afternoon, let your hands and feet be truly pampered with a deluxe manicure and pedicure. To complete your day, you will be placed in the hands of one of our experienced hairstylists to enjoy a luxurious wash and finish, leaving you feeling ready to reconnect with the world once more.